Doctors remove a kidney from a patient in 2016. A pair of doctors at UPMC want to change that. Dr. Abhinav Humar, clinical director of transplantation at the Starzl Institute and principal investigator of an ongoing study on the topic, and Dr. Angus Thomson, distinguished professor of transplantation and immunology at the Starzl Institute, are researching new ways to teach the immune system how to adjust. 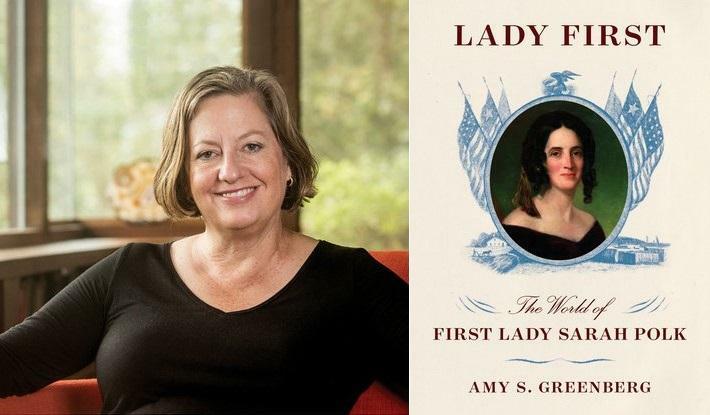 Amy Greenberg is a professor of History and Women’s Studies at Penn State University, and the author of “Lady First,” a new biography about Sarah Childress Polk. During the early women's suffrage movement, Sarah Childress Polk wielded power in D.C. unlike any woman of her time. Amy Greenberg, professor of history and women’s studies at Penn State University, has written a new biography about Polk called Lady First. Greenberg's book puts the spotlight on Polk and her strategy of influencing the men around her to change policy. She takes a look at how influential Polk ultimately became and why history has largely forgotten the 11th First Lady. Lateresa Blackwell is a university administrator during the day, but on nights and weekends, she runs a no-charge workforce development program called Kitchen of Grace for teens focusing on hospitality and business. Blackwell spoke with 90.5 WESA’s Elaine Effort about empowering young people and giving them the tools and resources to put them on a path to success. And the Pittsburgh Water and Sewer Authority has made huge strides in the more than three years since the organization faced a lead crisis and teetered on collapse, but it is not out of the woods just yet. 90.5 WESA reporter Margaret J. Krauss explains how PWSA’s transition to financial stability will affect its capital lease agreement with the city and the future its water infrastructure.